The death has taken place of actress Joan O'Hara. 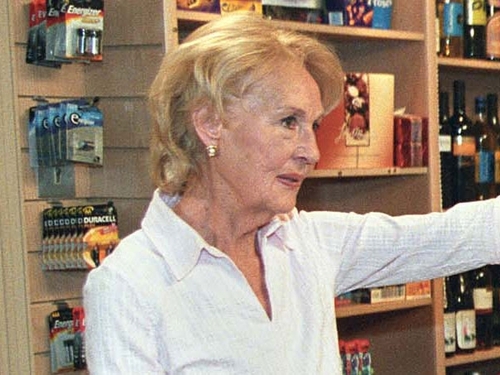 A respected film and stage actress, Joan O'Hara became a household name in her role as Eunice in RTÉ's 'Fair City', which she played for over 13 years. Paying tribute, Niall Mathews, Executive Producer of 'Fair City', said: "All in 'Fair City', cast and crew, are deeply saddened at Joan's death. Joan joined the cast of 'Fair City' in November 1994 and was a member of the core cast since then. In that time her portrayal of the eccentric Eunice Phelan endeared her to hundreds of thousands of viewers. She will be deeply missed by all who worked with her in RTÉ and by her host of fans throughout the country." Clare Duignan, Director of Programmes for RTÉ Television, said: "It's with great sadness that we have learned of the passing of Joan O'Hara. Joan's association with RTÉ Television was a long and fruitful one. Long before the nation took her to their hearts as Eunice, Joan startled audiences with virtuoso portrayals in television dramas like Maeve Binchy's 'Deeply Regretted By' and, much later, in Pat McCabe's 'A Mother's Love is A Blessing'." She continued: "From 1994 she was at the heart of 'Fair City', and was without doubt one of the dramas most popular characters; moreover, she was one of RTÉ's most warmly regarded colleagues. She will be deeply missed. On behalf of RTÉ I would like to extend my sincere sympathies to Joan's family." On the stage Joan O'Hara performed in works by Brian Friel, Marina Carr, Frank McGuinness, Tom Murphy and her son, the playwright and author Sebastian Barry. She was named Best Actress at the Dublin Theatre Festival in 1980 for her performance in Graham Reid's play 'Dorothy'. Her film credits included 'She Didn't Say NO! ', 'Da' and 'Far and Away'.